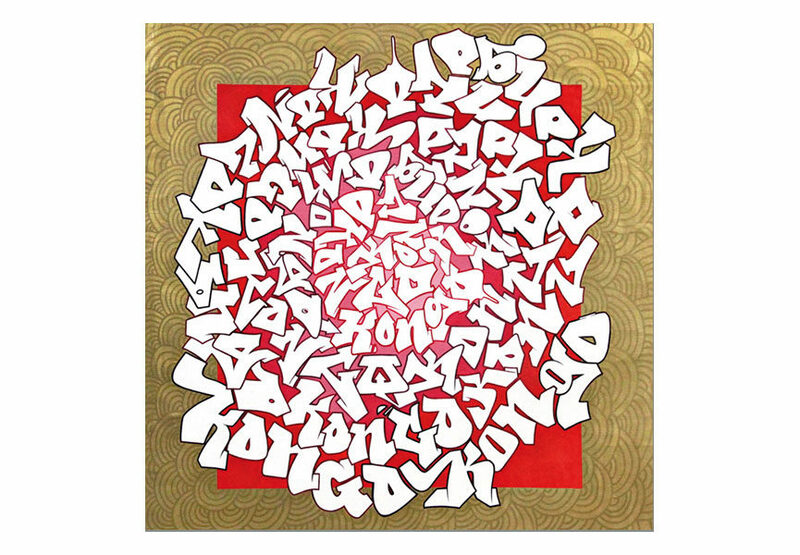 A major figure in the international graffiti art scene, Cyril Phan aka Kongo returns to Paris after his 3-year exhibition marathon in Asia. 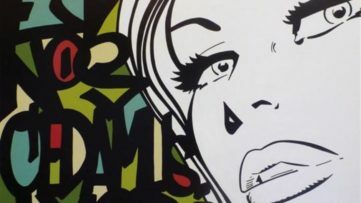 Galerie Matignon has chosen to present a selection of his recent works, paintings on canvas, works on plexiglass, enamel plates of the Paris metro revisited by the artist and sculptures. The exhibition will run from March 20 to May 17. 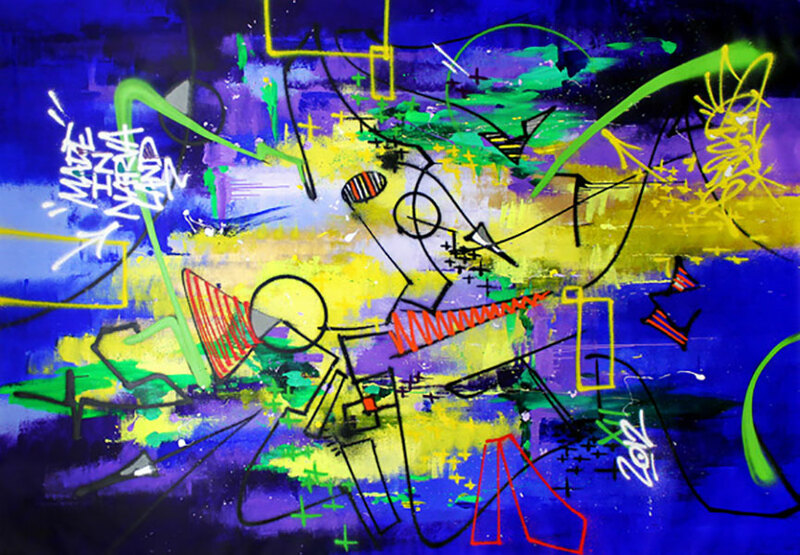 Street artist Cyril Phan, aka Kongo, was first known as a tagger and graffiti artist on the Parisian, European and American urban scene. 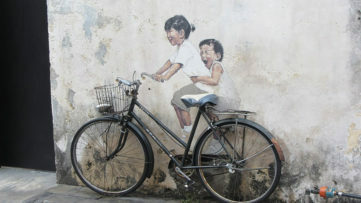 He began graffiti in 1986 in Paris where he moved to live with his grandparents as a political refugee from Vietnam. Being the only Asian in that French community, he was shy and used painting as a means of expression. Graffiti gave him a double life or personality. Cyril is shy, Kongo paints everywhere. 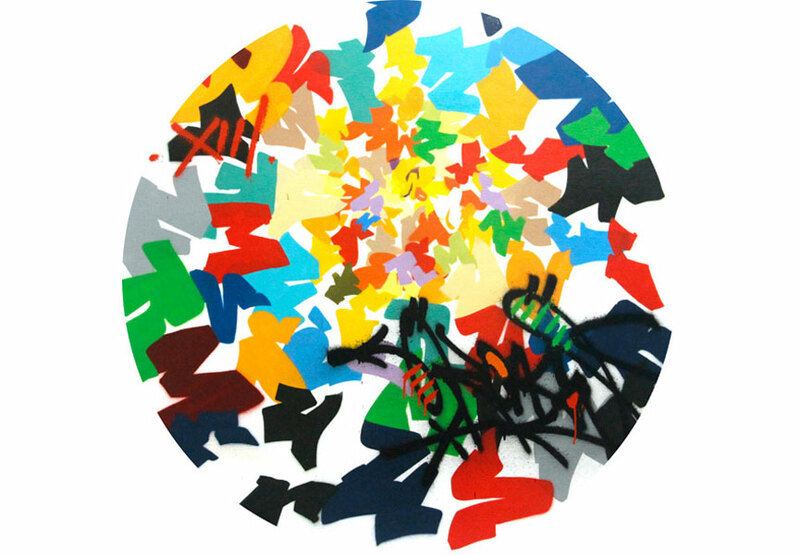 In twenty years of practice, he has established himself as a leading figure of the international urban art scene. His role in the legendary M.A.C. 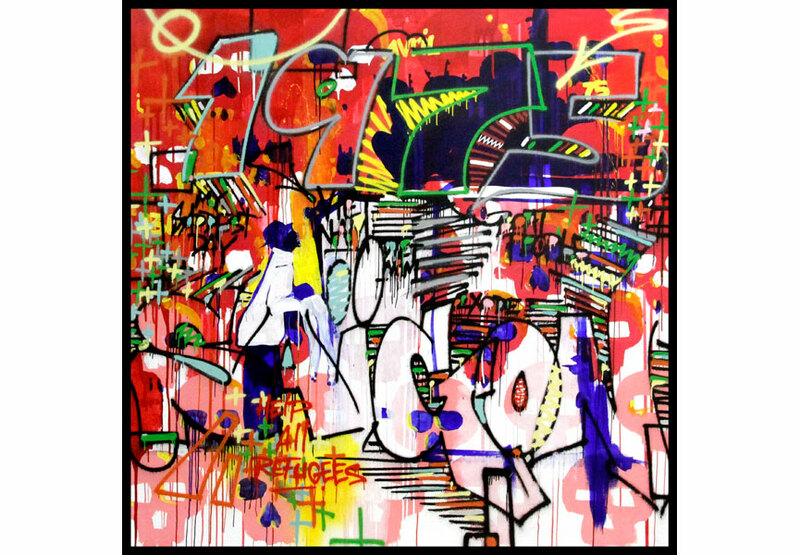 group ((Mort Aux Cons) has made of him one of the major creators of the French graffiti scene for the past 20 years. 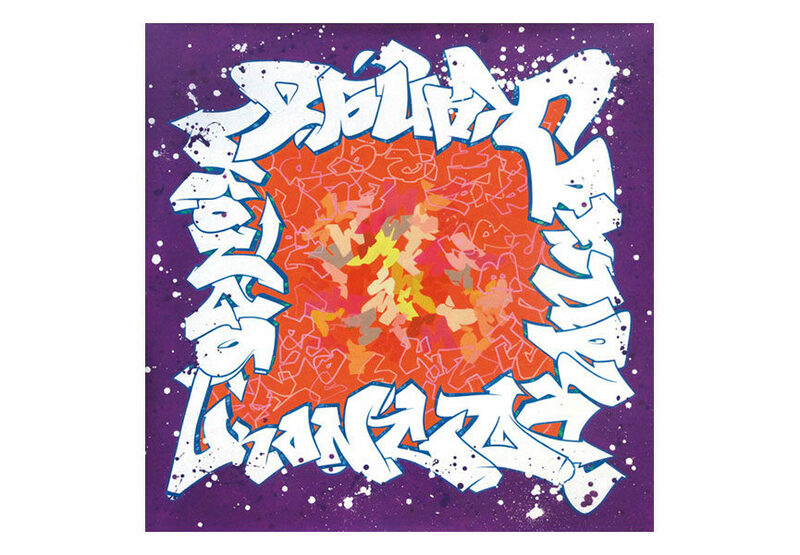 Kongo has contributed greatly to defend graffiti as an artistic discipline. He is also a co-founder of the International Graffiti Festival. 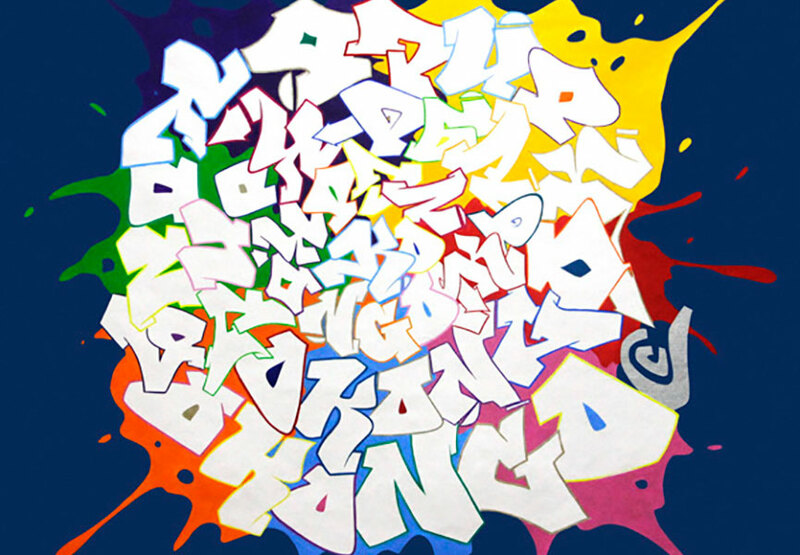 Even though he initially gained fame as primarily a graffiti artist Kongo has managed to move his technique towards a mature artistry. Besides his favorite medium, the wall, he also works with pavement, metal, canvas, plexiglass, ceramics, photography, paper and glass. Kongo remains personally productive, with exhibits and shows around the world. Now he’s back in Paris. Never at a loss for inspiration, this talented and varied artist has not yet tested the limits of his possibilities. Kongo gives free rein to his inspiration. Spontaneity is absolute part of his being.